Simon J. Ortiz is widely regarded as one of the literary giants of the twentieth and twenty-first centuries with more than two dozen volumes of poetry, prose fiction, children's literature, and nonfiction work to his credit and his being anthologized around the world. 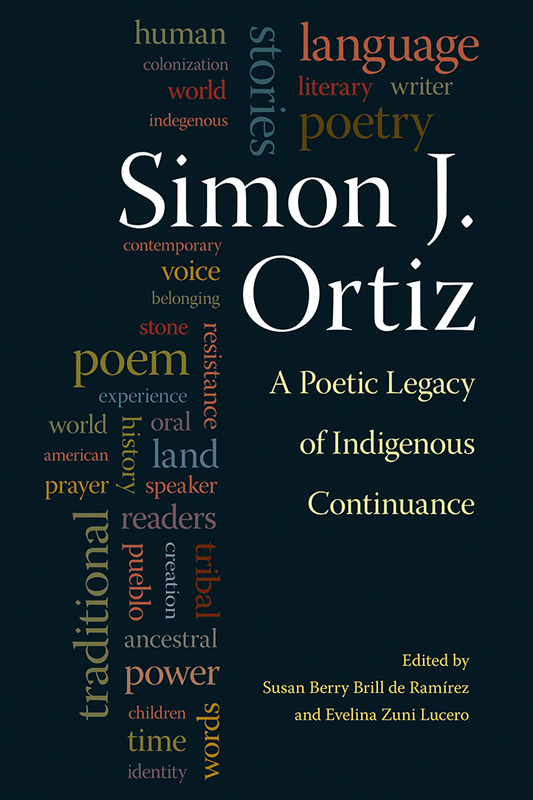 This edited volume is devoted to the depth and range of Ortiz's contribution to contemporary Native American literature and literary scholarship. Including interviews with Ortiz, short creative nonfiction essays by Native women writers and scholars, and innovative critical discussions by a dozen scholars of Native literatures, the volume shows his role in the development of cultural studies and Native American literatures on a number of fronts, garnering tribal, regional, national, hemispheric, and global levels of awareness and appreciation. The range of scholarship herein sheds light on the larger historical, cultural, and political factors that have shaped Native writing over the last four decades. This volume reveals the insights and aesthetics of Ortiz's indigenous lens, which provides invaluable contributions to literary studies that turn to the postcolonial, the ecocritical, the globally indigenous and comparative as indigenous geographies of belonging are found to inform an aesthetics of inclusion and authenticity. Evelina Zuni Lucero (Isleta/Ohkay Owingeh Pueblo) is chair of the creative writing department at the Institute of American Indian Arts in Santa Fe, New Mexico. She is the author of the novel Night Sky, Morning Star. Susan Berry Brill de Ramírez, Caterpillar Inc. Professor of English at Bradley University, is also the author of Contemporary American Indian Literatures and the Oral Tradition, and Wittgenstein and Critical Theory.